Welcome to the Kilsyth Guards Forum. Please send a DM to Dret Dormsor to register an account on these forums. 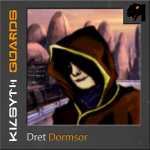 If you've got specific faction avatars or signatures, we advice you to use those as well.